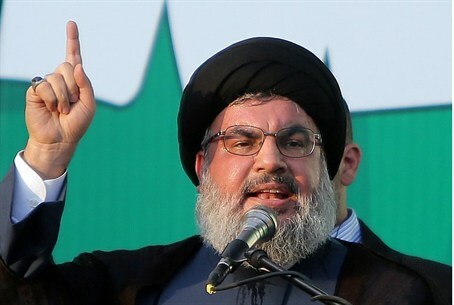 Hizbullah chief Nasrallah boasts that his group sent the unmanned drone shot down by the Israeli Air Force. The head of the Hizbullah terror group, Hassan Nasrallah boasted on Thursday that his group sent a sophisticated unmanned drone over Israel last week, saying the device was built by Iran, AFP reported. The Israeli Air Force shot down the drone on Saturday morning after it entered the country's airspace from the Mediterranean Sea. "A sophisticated reconnaissance aircraft was sent from Lebanese territory ... and travelled hundreds of kilometers over the sea before crossing enemy lines and into occupied Palestine," Nasrallah said on Hizbullah’s television station Al-Manar. "It overflew sensitive and important installations for dozens of kilometers until the enemy spotted it near (the nuclear site) Dimona," he added. He did not identify the installations. Nasrallah insisted that "possession of such an aerial capacity is a first in the history of any resistance movement in Lebanon and the region." "It's not the first time (that a drone was sent) and it will not be the last. We can reach all the zones" of Israel, said Nasrallah, referring to a less sophisticated drone sent by Hizbullah during the Second Lebanon War in 2006. He said the latest drone was "Iranian built and assembled in Lebanon." Nasrallah's acknowledgement of the drone came shortly after Prime Minister Binyamin Netanyahu pointed the finger at Hizbullah as being behind the incident and vowed to defend his country against further "threats." An Israeli official questioned by AFP said he was not surprised that the drone was made in Iran. "The fact that Hizbullah weapons come from Iran does not surprise anyone," the official said on condition of anonymity.